We bought this for our firstborn (now 5 months) with the idea that if we have a second baby then we are prepared. We like how it handles and can go anywhere. We use it out and about shopping, taking the bus and on a gravel walkway most days. The sun shade that flips down is a great feature, it blocks the wind and insects too. We use the storage tray a lot and are amazed at how much grocery shopping we can squish in there. Handy double pockets at the bottom for pram clips, keys, sunglasses etc. Seems very comfortable for baby too.We keep a cloth over the sunshade when out as the sunshade does not really protect baby from the sun's glare. Also we get frustrated with the flap at the back blowing open in the wind and having mesh that allows sun to come down on baby's head. It would be great if Mountain Buggy put velcro or a zip function to keep that part closed and got rid of the mesh and just made the back flap all canvas. 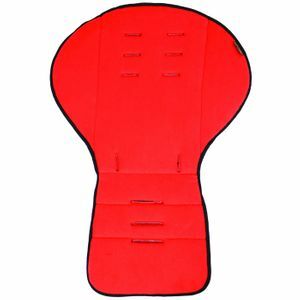 We understand that the flap is open to allow easy access to a younger baby in the back, but it's a real pain and I've considered sewing on velcro so we have the option to close it. As it is, I use pegs and pram clips to keep it closed.I would still choose the +one if we had to choose again. Absolutely LOVE our Mountain Buggy +one! While I still love carrying Lily in our Juno (which I thrashed when Baxter was smaller) it is so nice to be able to have both kids in the one pram and not be side by side to annoy each other (I say this now, haha).By the time we got ours, Lily was too big for the newborn mattress which I was a little bit gutted about but overall, we love it. I find the front seat doesn't recline as much as I would like but overall, we love it so far!I am not the best at following instructions (haha) but managed to assemble it by myself (go me).We have it in marine and its a nice bright and fresh colour compared with our older UJ nautical. I am looking forward to going on walks with both kids in the near future.Would highly recommend if you're not wanting to go with the Duet but want a pram that will work for two kids. This is definitely the best jogging stroller I have ever used, let alone pushed- compared to the $800 ones!! For anyone active and loves to run, I was afraid I was going to have to put my needs on the back burner for the baby, but not this time!! This thing let's me taker our newborn in the carry cot and is lie flat capable which others are not. It is easy and smooth to push, even one handed it handles so well you won't even believe it! It does well when using it off road or on trails. Although it seems a bit pricey, it is well worth the money because of the quality and freedom it allows you to have! We've had our mountain buggy for a few years now and haven't had any problems. It's sturdy, easy to push and maneouvre in small spaces and get up and down stairs if necessary. just came back from 6 weeks traveling Europe and Asia and I loved having this stroller. The large air filled tyres made uneven paths, stairs, snow, and even subway escalators a BREEZE! Our toddler slept well in the reclined position and being able to let out a little bit of air from the tyres made cobblestone roads smooth. 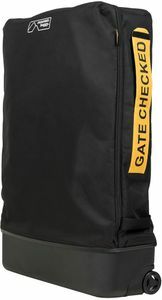 Airlines had no trouble taking the stroller at the borading gate and was durable enough to survive more than 12 flights! I bought this pram for my first baby. It has some great features, in particular it's tyres which are great for off road and longer distances, a generous under pram basket, sturdy construction and it never felt like it would tip. I was looking at buying the Swift after a recommendation from a friend but a sales person encouraged me to get the urban jungle, given my husband is over 6 foot tall. It was a great bit of advice - my bub is tall and the urban jungle has (and will continue to have) plenty of room for him. When my bub was a newborn, I used the car capsule adaptor and I found that very handy. If I have another child I will be buying a carrycot, as I regretted not having this. I walk a boisterous 25kg dog everyday and I am able to push my urban jungle with one hand and walk a (pulling) dog with the other, with no problems at all - the urban jungle is very light and manoeuvrable. It's very wide though, but that hasn't posed many problems for me and it's a bit of a non-issue really. A couple of times a week my bub also sleeps in his stroller (at the gym crÃÃ‚Â¨che) and he is perfectly happy and comfortable doing so. The urban jungle has gotten me through the last 14 months with ease and I'm looking forward to adding a freerider to it very soon (itÃÂ¢Ã¢Â¬Ã¢Â¢s getting hard keeping bub and dog happy at the same time and this addition will certainly help). It's a well-designed stroller that does what you need it to do, every step of the way. The only thing that's really bugged me about it was the foot brake - it's chips pedicures (we live in thongs in summer here is Australia) but MB have added a handle brake now so this won't be an issue for anyone buying a new model. We bought the Urban Jungle with our first born in 2012, he is 2 years 8 months now and it is still as good as when we got it. Love that it has lasted so long and all the additions you can add to it. We have a newborn and purchased a carrycot and scooter that fits on the frame. Will continue to use this as long as possible! Also, the fabric is easy to wash and has not faded after almost 3 years. It is quite bulky and big so works well if you have a bigger car and like going for walks. Sometimes too big to fit into shops! Highly recommended. I was looking at buying the Swift after a recommendation from a friend but a sales person encouraged me to get the urban jungle, given my husband is over 6 foot tall. It was a great bit of advice - my bub is tall and the urban jungle has (and will continue to have) plenty of room for him. When my bub was a newborn, I used the car capsule adaptor and I found that very handy. If I have another child I will be buying a carrycot, as I regretted not having this. I walk a boisterous 25kg dog everyday and I am able to push my urban jungle with one hand and walk a (pulling) dog with the other, with no problems at all - the urban jungle is very light and manoeuvrable. It's very wide though, but that hasn't posed many problems for me and it's a bit of a non-issue really. A couple of times a week my bub also sleeps in his stroller (at the gym crÃÂ¨che) and he is perfectly happy and comfortable doing so. The urban jungle has gotten me through the last 14 months with ease and I'm looking forward to adding a freerider to it very soon (it's getting hard keeping bub and dog happy at the same time and this addition will certainly help). It's a well-designed stroller that does what you need it to do, every step of the way. The only thing that's really bugged me about it was the foot brake - it's chips pedicures (we live in thongs in summer here is Australia) but MB have added a handle brake now so this won't be an issue for anyone buying a new model. Easily the best baby product I bought. It has lasted me four and a half years, and is strong as an ox! It is light, manoeuvrable, stylish, and tough. Great product. I bought mine over two years ago for two reasons. 1) I wanted a jogger to walk/run. This pram has excellent leg/stride room, no kicking the lower bar. 2) Husband is 6"4 and needed the handle height to raise comfortably for him to use. The adjustable handle is fantastic. I was looking at buying the Swift after a recommendation from a friend but a sales person encouraged me to get the urban jungle, given my husband is over 6 foot tall. It was a great bit of advice - my bub is tall and the urban jungle has (and will continue to have) plenty of room for him. When my bub was a newborn, I used the car capsule adaptor and I found that very handy. If I have another child I will be buying a carrycot, as I regretted not having this. I walk a boisterous 25kg dog everyday and I am able to push my urban jungle with one hand and walk a (pulling) dog with the other, with no problems at all - the urban jungle is very light and manoeuvrable. It's very wide though, but that hasn't posed many problems for me and it's a bit of a non-issue really. A couple of times a week my bub also sleeps in his stroller (at the gym crche) and he is perfectly happy and comfortable doing so. The urban jungle has gotten me through the last 14 months with ease and I'm looking forward to adding a freerider to it very soon (it's getting hard keeping bub and dog happy at the same time and this addition will certainly help). It's a well-designed stroller that does what you need it to do, every step of the way. The only thing that's really bugged me about it was the foot brake - it's chips pedicures (we live in thongs in summer here is Australia) but MB have added a handle brake now so this won't be an issue for anyone buying a new model. This stroller is so easy to steer and is easy breezy to fold and unfold. 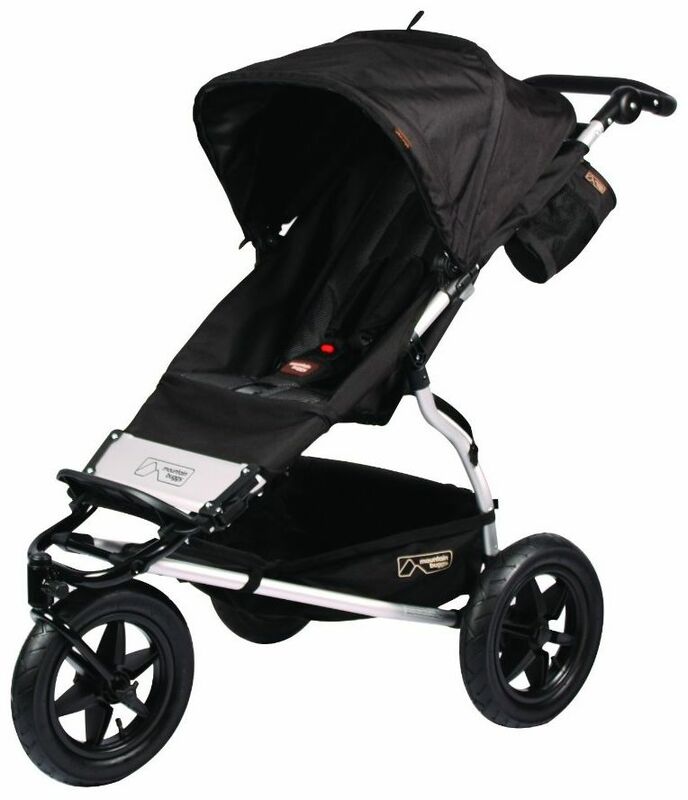 It is extremely sturdy and as it is built to last, I know it will be in use for many years to come The quality is second to none and I would eagerly recommend it to anyone who is searching for that perfect stroller! I was looking at buying the Swift after a recommendation from a friend but a sales person encouraged me to get the urban jungle, given my husband is over 6 foot tall. It was a great bit of advice - my bub is tall and the urban jungle has (and will continue to have) plenty of room for him. When my bub was a newborn, I used the car capsule adaptor and I found that very handy. If I have another child I will be buying a carrycot, as I regretted not having this. I walk a boisterous 25kg dog everyday and I am able to push my urban jungle with one hand and walk a (pulling) dog with the other, with no problems at all - the urban jungle is very light and manoeuvrable. It's very wide though, but that hasn't posed many problems for me and it's a bit of a non-issue really. A couple of times a week my bub also sleeps in his stroller (at the gym crche) and he is perfectly happy and comfortable doing so. The urban jungle has gotten me through the last 14 months with ease and I'm looking forward to adding a freerider to it very soon (its getting hard keeping bub and dog happy at the same time and this addition will certainly help). It's a well-designed stroller that does what you need it to do, every step of the way. The only thing that's really bugged me about it was the foot brake - it's chips pedicures (we live in thongs in summer here is Australia) but MB have added a handle brake now so this won't be an issue for anyone buying a new model. I bought this stroller right before we had my daughter and it is amazing . We use it everyday for walks around the neighbourhood and trails. I even take it shopping . And it has a high weight limit which I love because we won't need to buy another stroller in the future . My favourite part was the bassinet when she was little so worth it ! 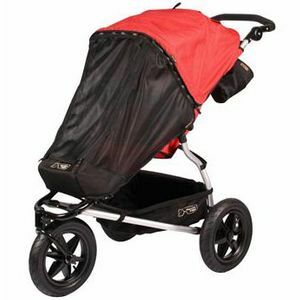 Light weight, easy to maneuver, this is a great stroller for running. Versatile and essential in North America. I have taken this stroller to the mall, the playground, the parks, the zoo and into the country. Never has it let me down. The stroller is sturdy and the tires are fantastic on rougher, uneven ground. Wonderful! Lots of storage in the gear tray and I love all the accessories. The carrycot, the face to face, the easy to use car seat adaptor and in our Wintery Canadian weather....the sleeping bag. I just bought the free rider as now I have 2. Easy to hook up and my toddler loves it! Awesome product. Thanks mountain buggy! We've had our Urban Jungle stroller for three years now, and we purchased it new after someone had introduced us to an older one as a hand-me-down. It is, by far, the perfect stroller for us. It gets my children around anywhere we need to go and is versatile enough to be used for everyday purposes (going shopping or running errands and traveling) to using on trail runs. I love that it is simple and understated, compared to the BOB strollers that seem to have so many things about them. The only thing I wish this had was a better cup holder. Regardless, we love it and we will use it until our kids can't fit in it anymore, because I know it will outlast our children's needs! We bought this stroller after quite a bit of research. After spending more than $500, both rear tires have worn out and need to be replaced (approx. $100) after only 6 months of use. These are not included in the warranty. The rear right tire is also wobbly and clicks. Though it handles nicely, I am very disappinted with how little use we were able to get out of it. Would not recommend this product at all. What are the weight/height limits for this? weight limit: 55 lbs seat back height: 26.3"
The versatile buggy that is easy to maneuver in the city streets and easy to handle across all terrain. It's on/off road ideal with 12" tires and rear wheel suspension to handle all terrain for a smooth ride. Urban Jungle... engineered for the mountains and designed for the city. Narrow wheel base - 63cm/25"